The wait is (almost) over! 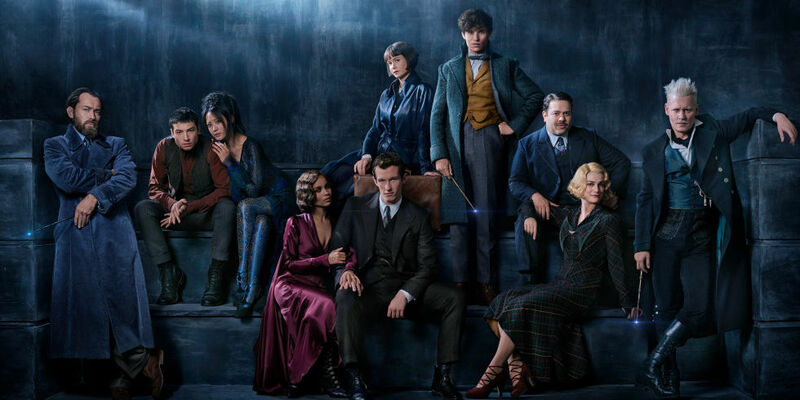 Warner Bros. have finally unveiled a cast photo and the title for the Fantastic Beasts and Where to Find Them sequel – Fantastic Beasts: The Crimes of Grindelwald. The news was shared on Twitter, the new title accompanying the star studded image. The sequel in the Harry Potter prequel series sees the return of some rather favoured characters. Eddie Redmayne returns as Newt Scamander, alongside Katherine Waterston who plays Tina. Ezra Miller looks to have scrubbed up a teeny bit since the first film, and despite his rather sad ending, Dan Fogler, who played the muggle thrown into the world of magic, also seems to be returning. Johnny Depp returns as Grindelwald, the central figure to this upcoming tale. Opposite him is Jude Law who joins the project as a younger Dumbledore, portrayed in the Harry Potter movies by the late Richard Harris and then Michael Gambon. David Yates also makes a return as director, having helmed not only the first installment of this spinoff, but also the final four Harry Potter films. Its author, J.K. Rowling pens the script. Fantastic Beasts: The Crimes of Grindelwald will be released on November 16, 2018.